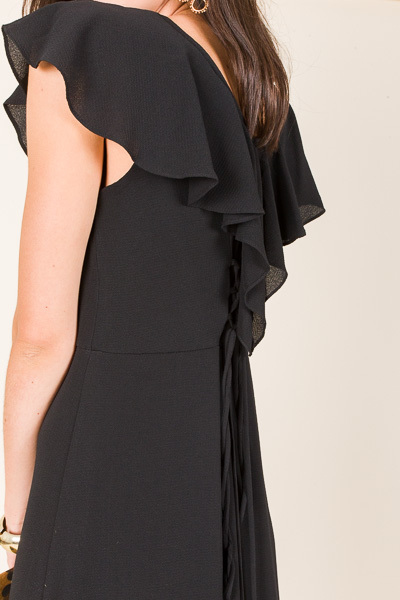 A little ruffle and a whole lot of style! This maxi is the ideal LBD for all kinds of occasions. A lace-up detail in the back cinches your waist for a flattering fit. Maxi is lined. Fit is true to size. Model is wearing size small. Lenght measures approximately: S=55.5" M=56" L=56.5"